The successful lap record attempt was independently timed, verified and recorded by Plans Motorsport using their GPS DL-1 data logging equipment. It wasn't a test conducted by Top Gear TV themselves as the producers have seemingly ignored repeated requests to feature the British Ultima GTR to date. "We are all absolutely thrilled with this lap record. I could see that the Formula 1 inspired Ferrari FXX looked supremely quick in the hands of Michael Schumacher, but I had every belief that it wasn't a match for our legendary Ultima GTR720 road car. I wanted to prove a point from the minute I witnessed the Schuey lap time on TV but the top gear track was fully booked for several months. At the first available opportunity we took our Ultima GTR720 road car that has previously recorded a lap time of 1min12.8secs and adjusted it to more of a track biased set up rather than road car settings in the same manner as Michael Schumacher's track only non road legal Ferrari FXX. Our Ultima GTR720 road car stormed around the track at the kind of pace that would have placed it at the front of the grids in international GT racing, it was for sure a spectacle to behold. To better the lap time of the greatest driver of our generation in arguably the worlds most developed and expensive modern day track car is a perfect illustration of the sheer brilliance and mind blowing pace of our British Ultima GTR. Of course unlike the Ferrari FXX, which is not road legal, we were able to drive our road car back home afterwards. I would also like to clarify to everybody that our GTR720 will clear all speed humps and anybody whom doubts this fact is welcome to visit our factory so that we can demonstrate this to them first hand." 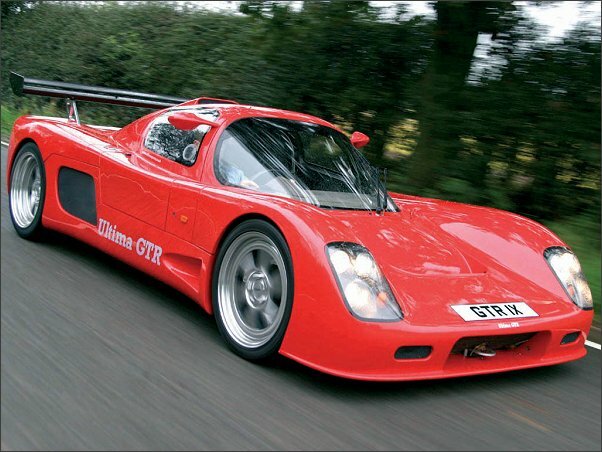 The Ultima GTR720 is a fully road going production car with standard features such as air conditioning, stereo system and sealed luggage compartments etc and is often used as a daily driver. The car is equipped with a standard production 720bhp Chevrolet V8 engine option built specifically for Ultima by our OE engine suppliers American Speed.